For as long as I can remember I have always had a fascination with flying. Any chance I could get to an airshow with plane rides or helicopter rides, I was all over it! When I was in my 30’s I felt I finally had enough income and started taking flying lessons. It was amazing. But as I completed about three quarters of the training, I realized that I wouldn’t be able to finish that dream financially. The cost of having an aircraft or renting an aircraft, insurance, and fuel just wasn’t in the cards. 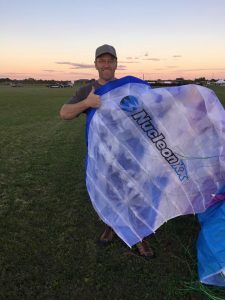 I enjoyed flying, but I felt it was more like driving, and there are a lot of limitations such as, your sealed up in a cockpit, you can’t fly as low to the ground and depending on what type of plane your flying, you are moving along quite fast. About five years later I discovered ultralight trikes. I went to take a test ride with an instructor in Minnesota. I was beyond words. When we left the ground and I was sitting out in the open with just this little shell round my legs, I literally was in awe!! I talked about it for weeks.I couldn’t wait to find out more about it. Again, I started taking some lessons and it was really amazing, but I was also at a point in my life where I was making a large business investment and two young children so investing $17000 to $20000 into an ultralight trike wasn’t going to happen either. I thought maybe another five years down the road I might be able to afford it. For the next several years, my best friend Jarett and I talked about flying options. He had never flown anything or had any lessons. And I overloaded him with my stories from the ultralight. We eventually came across powered paragliding. It seemed to be much, much more affordable, easy to transport with you almost anywhere, and it looked simple. You can be set up in minutes and be in the air from anywhere. We researched everything we could about it, and even drove to different states to talk to instructors and put our hands on equipment. We were guided to Bill Stoll by one of the paramotor manufactures. And fortunately he is only four hours away from us, and it was a great fit! We couldn’t have found a better instructor for us. Straight forward and just plain honest. If he asks you to fly or do a maneuver, you know its safe. He would never put you in any danger. That is a very comforting feeling when you are going to be flying something and you don’t get a first test flight with an instructor! Your on your own with him only in your ear via radio guiding you. 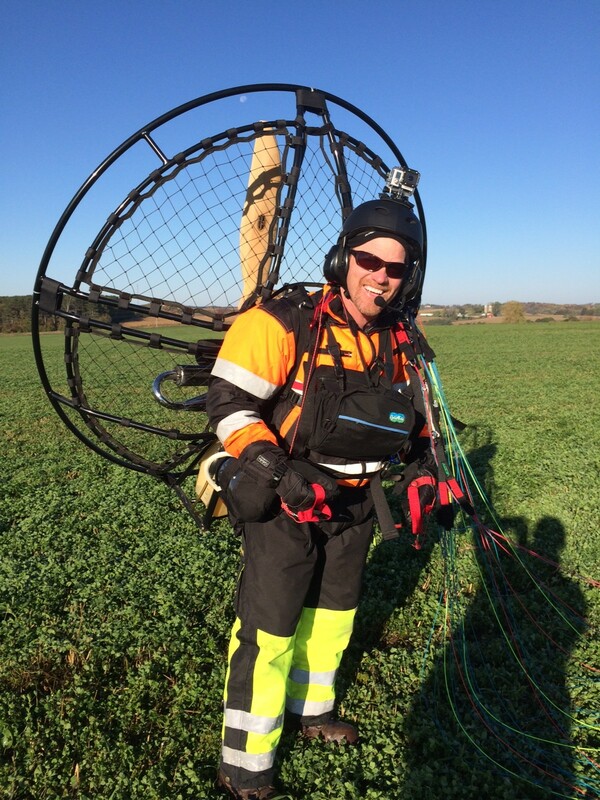 I had thought that ultralight trike flying was really the ticket….. Until I put that powered paraglider on and my feet left the ground! I remember vividly my thoughts from my first flight. OMG! THIS IS WHAT A BIRD FEELS LIKE!! There are no words to express how it feels to be buzzing just feet over farm fields, or having cars stop on side roads and get out to wave at you flying by. Going out on a cool winter day and seeing hundreds of deer, turkeys and other animals in fields and woods that normally you would have no idea they were there! Every flight is an amazing new experience! I feel very fortunate to have trained with Bill. He never looks for Kudos, but definitely deserves them! When ever I have had a question about flying, equipment, or any concern he is always willing to give me advise. He main goal is always, that you, the student feel safe and always get the most out of the sport. Training was a blast! Again, I feel very fortunate to have trained with Bill and everyone in our group. The weather didn’t always cooperate, but we had a ton of laughs and good times, and built some great friendships that will be life long. You never forget that person that trained you to get up in the air the first time, and I feel so fortunate to be finally doing something I’ve dreamed about my entire life. And its better than I could have ever imagined! My only regret is that I didn’t start it years ago! Check out some of Mike’s videos on his You Tube Channel! 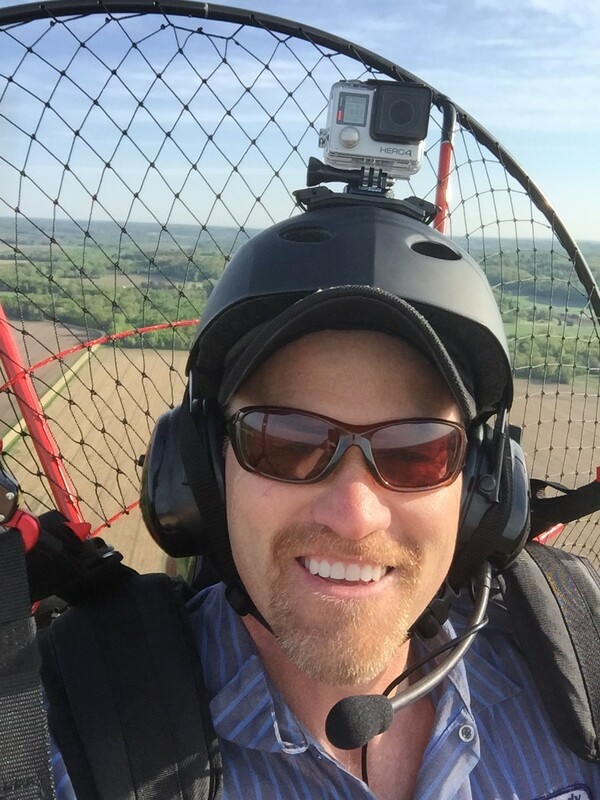 Highlights From Mike Barstad’s Powered Paragliding!